Here are a few practical things you can do to increase your chances of a successful insurance claim. Every insurance policy is different and the more you know about your policy the better. Knowing exactly what you are covered for as well as the fine print related to your coverage will significantly increase your chances of any claim you lodge being successful. There will often be things you need to do to maintain your policy, so find out what they are and ensure you are fulfilling your side of the contract. If you have been involved in an accident and need to seek medical attention do so as soon as possible. Even if you think you are okay it is wise to get checked out just in case. Having proof of any injuries or ailments related to the incident is crucial if you hope for your claim to be successful. 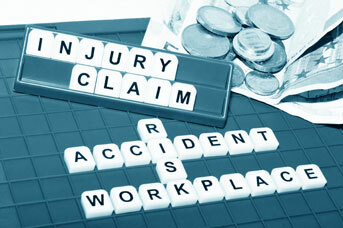 Having legal representation will strengthen your insurance claim considerably. An experienced lawyer will inform you of the best way to proceed with your claim and take care of any necessary paperwork. Contact a lawyer as soon as possible as this can make a huge difference to not just the outcome of your claim but also the speed at which it is processed. Your ability to keep good records is one of the most important aspects of any insurance claim. Apart from keeping track of any relevant receipts and paperwork it is also wise to take notes yourself, especially any details related to the incident in question. Always include the date and time in your notes and store them carefully. Date stamped photos can also be extremely useful. When your insurance claim is in process there will often be deadlines you need to meet, so make sure that you do. Lodging paperwork late or failing to respond to a request for information can seriously undermine your claim. A good lawyer will handle the vast majority of your paperwork for you, but if you are asked to provide information or sign a document, always do so promptly. The above tips are brought to you by James Sadigh, a personal injury lawyer Los Angeles. James Sadigh has a long and proven record of winning cases for victims of car accidents, dog bites, slips and falls, wrongful termination and other mishaps that can be proven to be the result of someone else’s negligence or malfeasance.